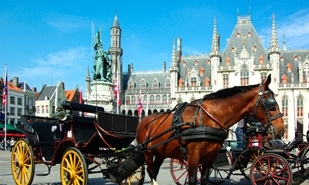 The city of Bruges is one of the best preserved medieval cities in Europe. It is an active city with 100.000 inhabitants (20.000 within the historic centre), and is the administrative capital of the province of West Flanders. In the 14th and 15th century Bruges was the trading capital of northern Europe, equal in size to Paris or London. 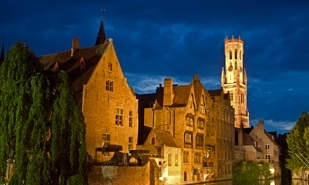 Bruges has 15km of canals and more than 100km of well preserved medieval facades in gothic and renaissance styles, as well as numerous museums. 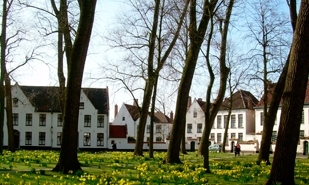 Bruges is also a shopping city with a large number of quality shops. The historical centre of Bruges is best experienced on foot or bicycle, allowing the visitor the appreciate its particular atmosphere, and savour some of its almost 300 restaurants.